"The VUV to UV Optics Source"
eSource Optics specializes in high quality Vacuum Ultraviolet (VUV) to Ultraviolet (UV) Optical Components for the VUV to UV wavelength region from 120nm to ~320nm. VUV to UV Optics include VUV & UV Optical Bandpass Filters, VUV & UV Broadband Flat & Spherical Mirrors, UV Neutral Density Optical Filters, VUV & UV Optical Beamsplitters, VUV & UV Optical Windows, VUV & UV Lenses & VUV & UV Right Angle Prisms. eSource Optics high quality VUV & UV Optical Bandpass Filters are available at specific peak wavelengths over the Vacuum Ultraviolet (VUV) to Ultraviolet (UV) wavelength range 122nm to 320nm. 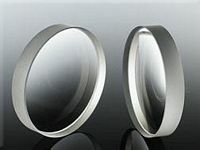 Both narrow & broad-band VUV & UV Optical Bandpass Filter designs are available having VUV to UV filter Bandwidths of 20nm FWHM and 35-50nm FWHM. eSource Optics high quality VUV & UV Broadband Mirrors are enhanced for specific peak VUV to UV wavelengths over the Broadband Vacuum Ultraviolet (VUV) to Ultraviolet (UV) wavelength range from 121.6nm to 200nm. 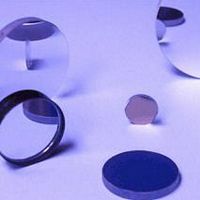 Both VUV to UV Mirror Coatings and complete VUV & UV Broadband Flat & Spherical Mirrors are available in a variety of sizes. 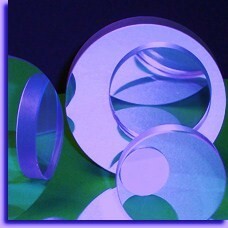 eSource Optics Ultraviolet (UV) Neutral Density Optics Filters are available with Optical Densities (O.D.) ranging from 0.30 to 4.00 over the broadband UV wavelength range of 200m to 320nm. eSource Optics high quality broadband VUV & UV Optical Beamsplitters are enhanced for the Broadband Vacuum Ultraviolet (VUV) to Ultraviolet (UV) wavelength range from 170nm to 300nm. 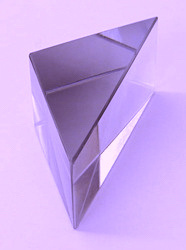 VUV & UV Optical Beamsplitters are available in a variety of sizes. 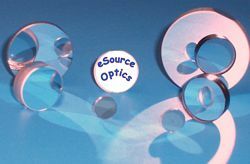 eSource Optics also supplies Optical Windows for UV to Near Infrared wavelengths including Laser Quality & Analytical Quality UV Fused Silica & N-BK7 Glass Optical Windows in popular Diameter sizes. In addition, eSource Optics supplies Precision cut Hardwood Optical Cases & Optics Boxes available in a variety of standard wooden optical case sizes for a wide range of optics. We also offer a little Photonics education & fun with Optics via our exclusive "Rainbowindows"
Thank you for visiting our web site and we look forward to providing you with the very best combination of Price, Delivery and Service.